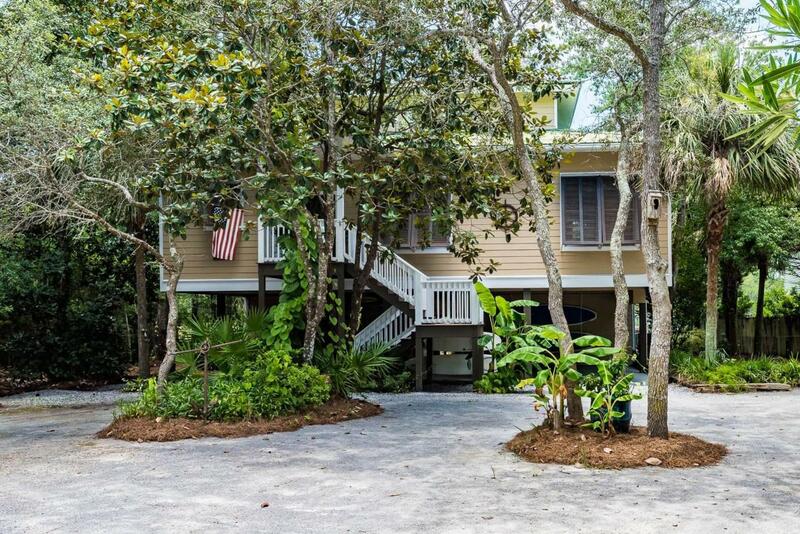 Well-maintained Florida cottage on Tucker Bayou in Historic Pt Washington! Nestled on over 1/2 acre of beautiful oaks, pines, red maples and magnolia trees. Ground floor consists of over 1,000 sq' covered parking, 2 separate enclosed dry storage rooms, covered patio and cooking area, open patio/decks,fire pit for outdoor enjoyment and entertainment. Newly-rebuilt walkway and dock with 2 boat lifts.Water depth at dock averages 2-3'. House features include custom Spanish Cedar exterior shutters and front door, new colonial oak engineered wood flooring, Andersen doors and windows and surround sound throughout. 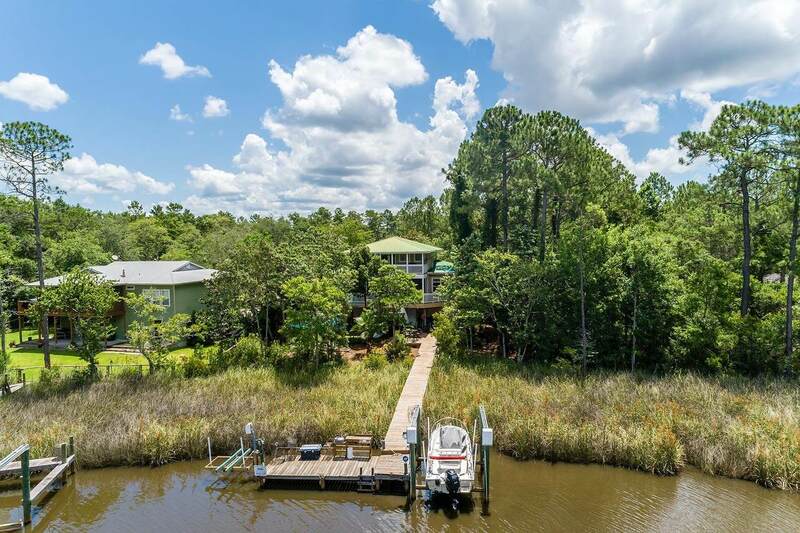 The 2nd level has an open kitchen with breakfast bar that bar flows into dining/living space opening onto screened porch with open side decks-all with water views. 3rd level Masterhas a sizable walk-in closet. Master bath has Jacuzzi tub, separate walk-in shower and a second walk-in closet. Relax on the covered porch off Master BR and take in the incredible scenery! Tucker Bayou provides access to Choctawhatchee Bay, Intracoastal Waterway and many nearby creek and river tributaries. Excellent boating, fishing, kayaking and SUP'ing. Fully outfitted boat launch close by. Bike or jog to Eden State Gardens just down the street. Historic Pt Washington is one of South Walton's finest water front neighborhoods.